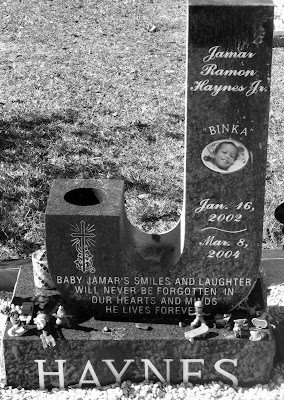 This is my Baby boy's tombstone. I miss him so very much. 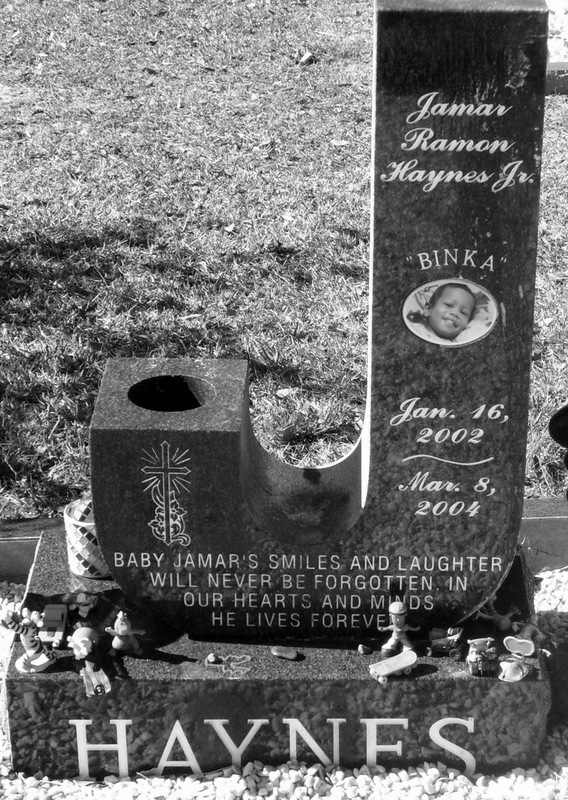 We love you Jamar R Haynes Jr. (binka dinka). I am so sorry for your loss. His memorial is unique and beautiful.